This Page will feature different club videos from over our 80 year’s of glory. The idea behind this is to preserve our great club history for the future generations. If you have a video on VHS or Digital Disc, please contact Owen Sauvage on owen@mountsiongaa.ie or 087-9706387. We would love to have as many videos as possible. The 1988 Senior Hurling County Final saw Mount Sion face old rivals Ballygunner in Walsh Park. The game ends in a draw, but there are some well known Mount Sion faces playing! Keep an eye out for young Michael Flanagan! 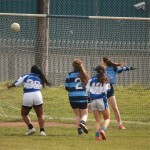 We saw how the first game out ended in a draw, now here is your chance to see how the game goes and see Mount Sion claim another County Title over Ballygunner! A 22 year gap was bridged when the Minor hurlers of 1991 claimed Mount Sion’s 21st County Minor Championship, overcoming Lismore in the final in Walsh Park. A classic, well worth watching. There is a five part video collection of Mount Sion’s County Senior title win over Passage. Part five includes a heart filled and emotional rendition of the Mount Sion Song by two of Sion’s greats Paddy Greene and Padraig O’Fainin, along with a chorus of club supporters and players. 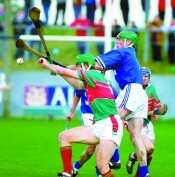 Full coverage of the 2000 Senior Hurling Final battle between Mount Sion and Ballygunner. Sion defeated the County Champions to claim their 31st Title in 68 year history. 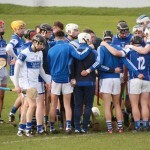 Interviews from Senior Hurling Manager Kevin Ryan and ace forward Ken McGrath give their opinion on Mount Sion’s 31st Senior Hurling Title win over Ballygunner. Also some clips from the game. Jim Greene, Mount Sion’s first All Star, outlines some of Mount Sion’s history between the club and school and the importance of it. 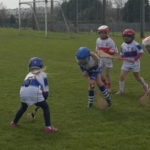 Mount Sion take on Tipperary Co. 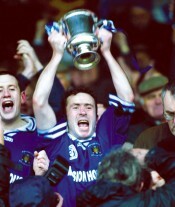 Champions of 2002, Mullinahone in Walsh Park. A four part collection with 2002 All Stars, Ken McGrath and Eoin Kelly taking centre stage as Mount Sion go on to book their place in the Munster Club Final. Mount Sion face Sixmilebridge in Semple Stadium in the Munster Club Final. Weather conditions were extremely poor on the day, but Sion battle on to win their second Munster Club title. The full game and interviews after the match and a small few clips from the visit back to the Primary School with the cup! Pat Fanning tells us how the famous Cnoc Síon GAA Club was formed in a short interview. Watch the full match between Mount Sion and Ballygunner as they battle it out for the 2006 Senior Hurling Title. See the likes of Ken McGrath, Tony Browne, Anthony Kirwan, Eoin McGrath, Roy McGrath, Brian Flannery, Ian O’Regan, Chris Ryan, Michéal White, Sean Ryan go on to win the County! 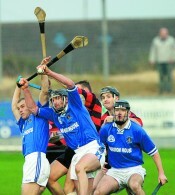 Keep an eye out for Michéal White’s humdinger of a goal! Happy Viewing! In 2010, Uachtarán CLG Christy Cooney visited Mount Sion to perform a number of duties including, officially opening the state of the art All Weather Pitch and Hurling Alley. Rename the club pitch in honour of our Late Life President Padraig O’Fainin, a former Uachtarán of GAA. He also launched a publication on another former great Mount Sion and Waterford man, John Keane. 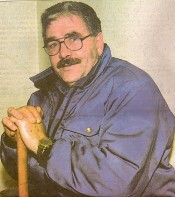 John was named on the team of the Millennium, at centre-back. You can see speaches and clips from the day’s happening on June 5th, 2010.